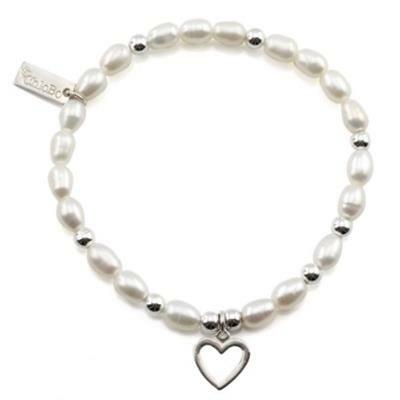 This fabulous Chlobo bracelet from the Gold and Pearl collection is beautifully crafted with a string of mini Freshwater Pearls and 925 Sterling Silver 4mm balls. This sweet design features a dainty open heart charm. A simple but romantic addition to your Chlobo collection.